We recently reviewed four solar charge controllers in the $100 to just over $200 price range. On this page we’re going to do a quick summary of those reviews to help you decide which one you may want to look into a little further. This charge controller can be used with just about any deep cycle battery and it is designed to help you get the most longevity out of your batteries possible by preventing the batteries from being completely discharged or overcharged. 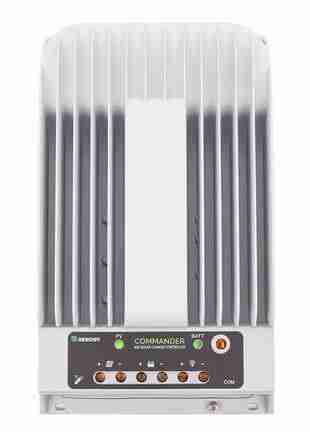 The Renogy 40 Amp Commander uses technology known as "multi phase synchronous rectification and maximum power point tracking" that improves system performance and increases charging efficiency. The Renogy 40 Amp Commander MPPT Solar Charge Controller is getting pretty good reviews from customers online. At the time of this writing, there were only four reviews on Amazon.com and those reviews were mixed. However, we did find about a dozen reviews on a couple of other websites and the overall average customer rating was 4.4 out of 5 stars. 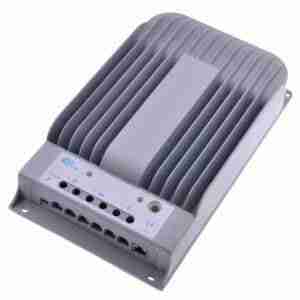 Customers are using this solar charge controller for a number of different applications. There were reviews from people using it in sheds or workshops, RVs, and one person even used it in a do-it-yourself greenhouse. Most customers are saying that this charge controller works exactly as advertised and you can get it up and running pretty easily. A couple of customers said that they did have some questions and when they called the manufacturer, the tech support was very helpful. 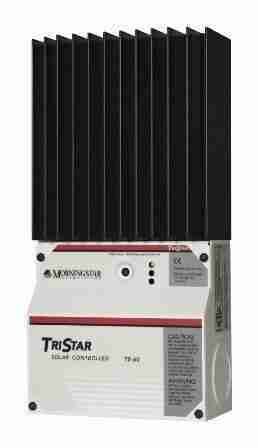 The Morningstar TS-60 Tristar is a 60 amp charge controller and yet it’s available at a lower price than the 40 amp Renogy charge controller mentioned above. The 40 amp Renogy charge controller is available for about $210, while the Morningstar TS 60 can be purchased for just $189.50. With the Morningstar TS-60 Tristar charge controller you’ll be able to reliably charge batteries with a device that offers excellent load control and diversion regulation. This charge controller is also getting great reviews from customers online. We were able to find about three dozen reviews and it received an average customer rating of 4.7 out of 5 stars. Several customers are saying that this charge controller is the best one you can get in this price range. One customer even called it a “must-have for off grid solar installs.” Another customer said that this particular unit is everything the manufacturer claims it is and more. A number of customers also said that all Morningstar products are top quality and the TS-60 charge controller is no different. This charge controller is another 40 amp option with a price tag of $209. This device uses a smart tracking algorithm to maximize the energy input from your photovoltaic panels. The charging process with the SolarEpic has been optimized for improved system performance and long battery life. This solar charger also features an aluminum radiator shell which is basically a series of cooling fins to help dissipate heat caused by electricity running through the device. 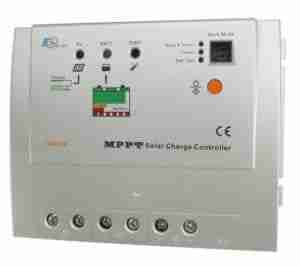 The SolarEpic MPPT 40A Solar Charge Controller is getting some of the best reviews from customers that we have seen online. There are not a lot of reviews yet but the reviews so far are very impressive. We were able to find about two dozen reviews online and it received an average customer rating of 4.8 out of 5 stars. Most customers feel that this charge controller is a high-quality product that is also very reasonably priced. The Tracer 2210RN Solar Charge Controller Regulator is only a 20 amp charge controller, but it also has the smallest price tag of any of the options were looking at on this page. It’s currently available for $99.99. Like the SolarEpic, this device also uses an advanced tracking algorithm to help the solar panels operate at the best voltage in order to produce the maximum amount of electricity. This solar charger is also designed to help your system run as efficiently as possible because it is able to step down a higher voltage solar array to recharge a lower voltage battery bank. This makes the Tracer 2210RN a great option whether you are grid tied or off grid. When researching this solar charger we found over 100 reviews online and the reviews are pretty strong. This device received an average customer rating of 4.2 out of 5 stars. Many customers said that this solar charger works exactly as advertised and that they would give it their recommendation. One customer said that in his opinion it works even better than advertised. He says that he has a workshop that is completely off the grid and he gets all of his electricity from a small solar array. Because of his small solar array, he tries to make sure he gets every little bit of electricity he can out of the panels that he has and he says that the Tracer is able to charge four large 8L16 batteries that are arranged as a 12 V DC battery bank and that battery bank is used to power all of the tools, machinery, and lights in his shop. There was also a review from a customer who says that the Tracer 2210RN Solar Charge Controller is the only one they would buy. He says that he has two 100 W solar panels mounted to the roof of his travel trailer and he did a lot of research to find the best charge controller he could for his particular situation. He said that after looking at all of the possible options he is very satisfied with his decision to purchase the Tracer 2210RN Solar Charge Controller.